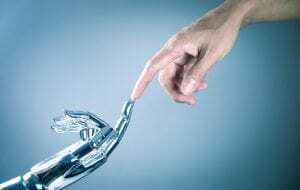 In November 2018, the UK Government announced it had set aside a sum of £3 million with the goal of boosting productivity in both legal and financial services using forms of AI. The project was set to begin this month and will run for the next three years. The Department for Business, Energy and Industrial Strategy will use the £3m to fund three separate projects, each involving the use of AI in different sectors. The project, supported by the Industrial Strategy Challenge Fund, will observe firstly, AI and its application in the Insurance sector. This could include its use in processes ‘such as underwriting and claims processing, speeding up the process for customers.’ Secondly, the project into AI in the legal sector will ‘gather best practices across the world, outline data challenges, identify where and how AI can legitimately resolve disputes’. Finally, a third project will ‘consider future uncertainties about the roll-out of new AI technologies in accounting and legal services‘. Statistically, service industries are considered to ‘account for almost 80% of the UK economy’, and both financial and professional services are purported to be valued at £190 billion. Business Secretary Greg Clark commented that the ‘UK is the historic home of AI given the work of British scientist Alan Turing, and the technology will change the way people work and live as it continues to penetrate the economy’. The research projects comes at a tense time, as the UK prepares to leave the European Union. 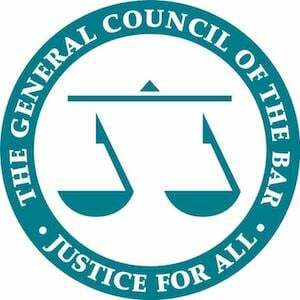 According to Lord Chancellor David Gauke, this project will ensure that ‘our world-leading services industry remains the primary choice for international businesses’ and that ‘ the new funding will foster innovation and increase understanding of AI to strengthen the UK’s reputation as a global centre for legal services and emerging technologies’. The project ‘Unlocking the Potential of AI for Law’, specifically looking at the legal industry, will study the various ways that AI may reinvent the legal industry. Oxford University has been awarded £1.2 million by the Economic and Social Research Council to conduct its research into this area. The team will bring together individuals from varying departments, including; computer science, law, economics, and social policy to work out ‘the best ways AI can be applied ethically and morally’. The team is set to work along side numerous private sector partners within different aspects of the legal sector. This will include individuals from international law firms: Slaughter and May and Allen & Overy. Notable barristers such as Ryan Perkins of South Square Chambers and Robin Dicker QC are set to deliver some input into the project. Additionally, the Law Society, Thomson Reuters and law tech start up LexSnap and the Legal Education Foundation have been noted to work on this project alongside academics. Their research will observe aspects such as the application of AI in Dispute Resolution, ‘investigating emerging business models deploying AI in law to help identify best practice in governance and strategy,’ and ‘comparing skills training and technology transfer in the UK with competitor countries such as the US, Hong Kong and Singapore to draw policy implications’. This project has potential long term effects for the legal sector. If conducted appropriately, the results could improve aspects of the legal service sector for, not only international clients, but also those domestically. It could seek to provide lower cost services for clients, in a more efficient and timely manner. However, the Government has warned that the ‘stakes for AI’s implementation in UK legal services are high [because] as well as governing economic order, the legal system is more fundamentally a structure for social order’. Thus, the project possesses the potential pitfall of threatening ‘both economic success and governance more generally’. As the project is set to last for the next three years and has just begun, it will be interesting to observe the team’s findings. The use of Artificial Intelligence and the rise of modern technology has been a hot topic in the legal sector for the past couple of years, with various firms attempting to implement various small projects such as electronically produced contract templates or research software to cross-check certain topics. However, it is still a very new piece of technology. Perhaps, this research will allow law firms to feel more comfortable about implementing a new method of work into its stalwart tradition. How is Google Breaching Data Privacy?